Use your unique subdomain, email address, and password to log in to Current. With Current RMS, there’s no software to download or servers to maintain, and you don’t need to set up a complicated VPN or remote desktop connection. To access your system, simply open a web browser and go to your unique Current RMS subdomain. This will look something like http://yourcompany.current-rms.com, where yourcompany is your unique subdomain. 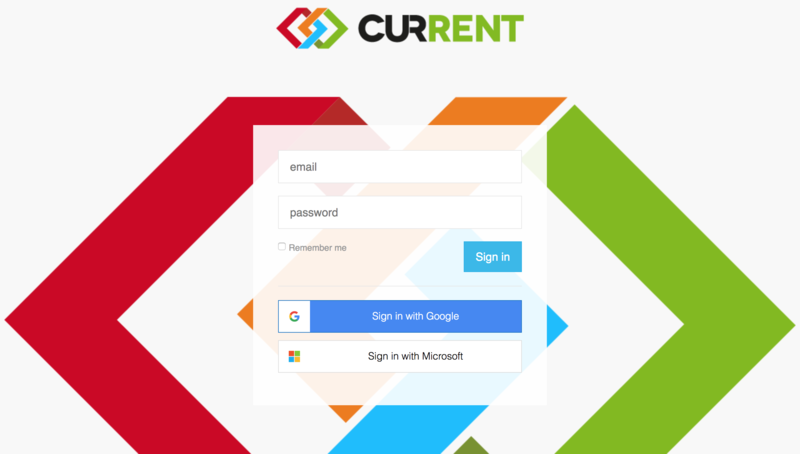 On your sign in screen, enter your Current RMS email address and password or use the Sign in with Google or Sign in with Microsoft buttons to sign in with your Google or Microsoft accounts. You can access your system on any device with a modern browser – Macs, PCs, smartphones, and tablets are all welcome to the party! Make sure you’re not entering “www.” before your subdomain. Your company’s subdomain replaces this, so if your subdomain is abcproductions then you’ll head to abcproductions.current-rms.com – no www needed.